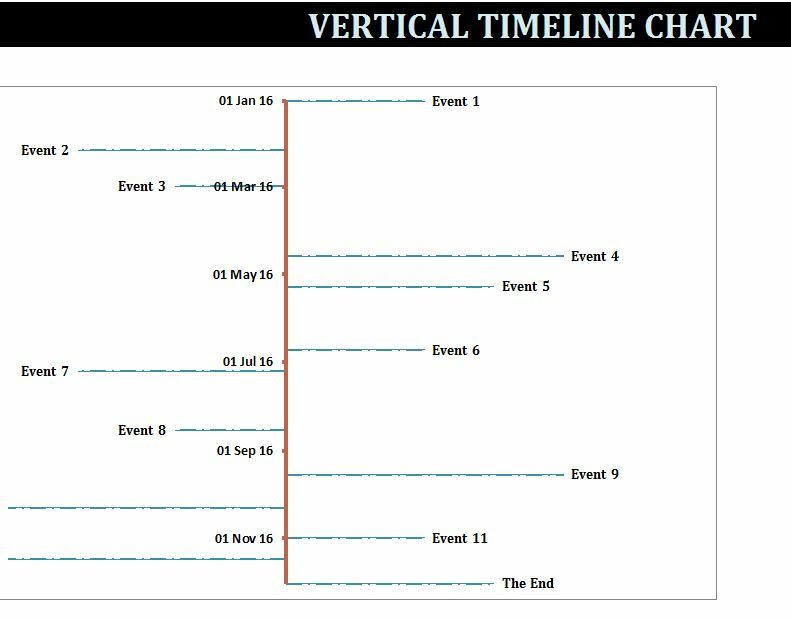 The free Vertical TimeLine Chart Template is the perfect way to track any event in your life with ease. This template is an Excel document that you can endlessly update with your most trusted and important schedule items. Once you have the sheet before you, you can start to enter your items in the data table and watch as they are automatically transferred to the main timeline chart. You can see exactly what’s coming up in your life and never miss a single item on your agenda. To get started with this free template today, just follow the link at the bottom of this page. The next step will be to open the sheet and start entering your items in the “Data Table” tab that you’ll find at the bottom of your page. There are three main columns to this page of the template. You have the day (the date the events took place), the Event (name of event/ brief description), and finally the height (how the item will be displayed in the chart). Go ahead and fill out all these sections with your scheduled items. You can always add new items to the template as you progress through the week. It doesn’t matter if your scheduled items are days or months apart, they will all appear in the “Chart” tab of the template. When you finish entering your items, proceed to this page of the template now. Here, you can see your events or scheduled items will appear on the timeline, starting from the top and ending at the bottom in chronological order. This template makes organizing all your tasks and condensing them into a format that’s simple to understand easy!